Steeple Run is a single family home and condo community built in the late 1970's. The subdivision is located in unincorporated Naperville, Illinois on Maple Avenue east of Naperville Boulevard, 6s050 Steeple Run Dr . The Steeple Run community features a clubhouse and a swimming pool, two dry and one wet pond along with several open areas of common landscaped land for recreation purposes. The annual assessments for the community are below the average fees of similar communities. Naperville named 2018's best city to raise a family. 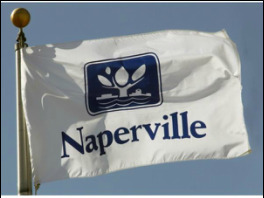 Naperville also came out on top in the lists of "Cities with the Best Public Schools in America" and "Safest Cities in America."